Is your supply chain or procurement job threatened by automation? When seeing robots whizzing around warehouse floors, or reading news about things like autonomous forklifts and delivery drones, it is understandable to start to worry about whether one’s own job is safe in this ever automated world. Indeed, there is some evidence that job losses have already started to happen – Alibaba’s smart warehouse, largely manned by robots, has reduced human labour by 70%. And technology continues to defy expectations, performing tasks that were previously thought solely within the purview of humans, like recognising emotions and diagnosing cancer. Just a few days ago, IBM debuted Project Debater, an AI system with the ability to debate humans on complex topics, which was so effective it was able to sway more audience members to its position on telemedicine than the human debater did. So … is it time for supply chain and procurement professionals, like supply chain managers, to panic? Well, we say, keep calm and carry on. Automation and technology holds more promise than peril for supply chain workers. How much of your job is actually at risk? While less than 5% of occupations are completely automatable, according to a report by the McKinsey Global Institute, about 60% of occupations have at least 30% of technically automatable activities. Almost half of all work activities are susceptible to automation; those that are most susceptible are physical ones in highly structured and predictable environments, as well as data collection and processing. What does this mean for supply chain professionals? 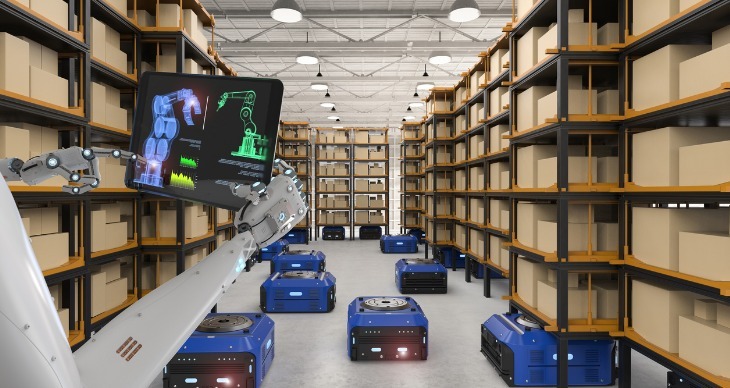 Those whose jobs involve repetitive physical tasks are probably most automatable – analysis by economic modelling firm AlphaBeta found that 70% of tasks performed by packers and product assemblers, for example, were susceptible to automation. And while lower wage jobs are perhaps at the highest risk of automation, middle-level jobs aren’t completely in the clear either, particularly if those jobs revolve around administrative tasks. Logistic clerks, for example, may eventually find a machine performing 49% of their current tasks. On the other hand, those jobs that involve higher-level tasks, like managing employees and strategising, are at much less risk. Tasks performed by supply chain managers, for example, are only 13% susceptible to automation. Rather than thinking of this as machines taking away aspects of our jobs, threatening to make us obsolete, we should think of this as machines augmenting our jobs – taking away time-consuming, mundane and repetitive tasks, leaving us free to focus our energies on the more creative, strategic and collaborative aspects of the job. This means less time entering data, and more time negotiating with vendors, performing risk analysis, leading projects and so on. Indeed, humans are a crucial part of the equation when it comes to reaping the benefits of automation. According to the McKinsey report, automation could potentially raise productivity growth by 0.8–1.4% annually – but these gains will only be achieved if people work alongside machines. Who knows what opportunities the future holds for supply chain professions? This doesn’t mean that supply chain and procurement professionals can be complacent. While automation might not be taking your job away anytime soon, it will likely change it significantly in the coming months and years. This means supply chain professionals need to be proactive in securing themselves against obsolescence by gaining and improving those skills that are less likely to be automated. According to entrepreneur Daniel Stanton, there are two particular supply chain disciplines that stand to do well in an automated future. The first is supply chain engineering and management: those who understand the “end-to-end flow and the interconnections between supply functions”, and can find opportunities for improvement. The second is supply chain project leadership: those who can “effectively lead cross-functional projects that integrate new technologies and processes into a supply chain” to execute strategies and implement change. While it’s nearly impossible to predict what jobs will exist 10 years from now, one thing is certain – there lies ahead a wealth of opportunity for supply chain managers and executives in particular. As globalisation drives the growing importance of organisational supply chains, the ability to collaborate with stakeholders and make strategic decisions will be more crucial than ever. The best supply management jobs might not exist yet – but you might get an inkling of key job categories for the future at CeMAT Australia 2018, the leading trade fair for materials handling, intralogistics and supply chain management. Register for your free visitor pass today.